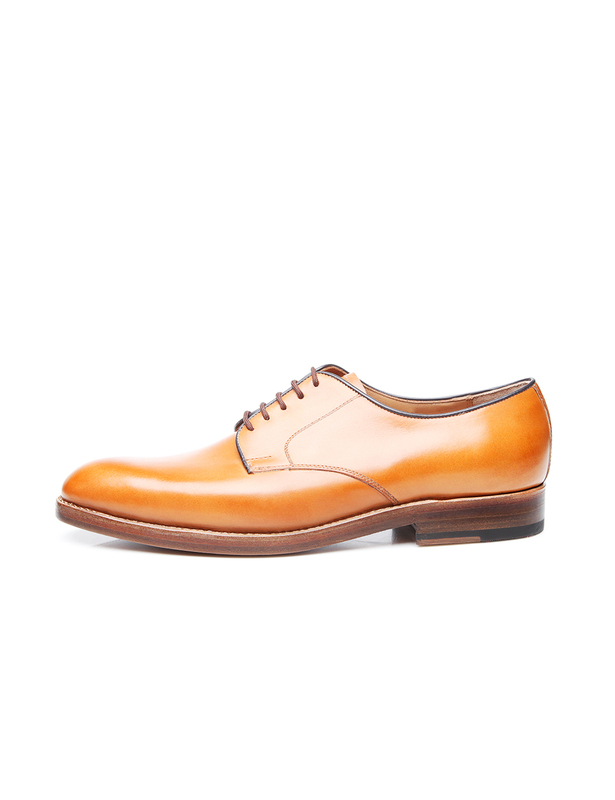 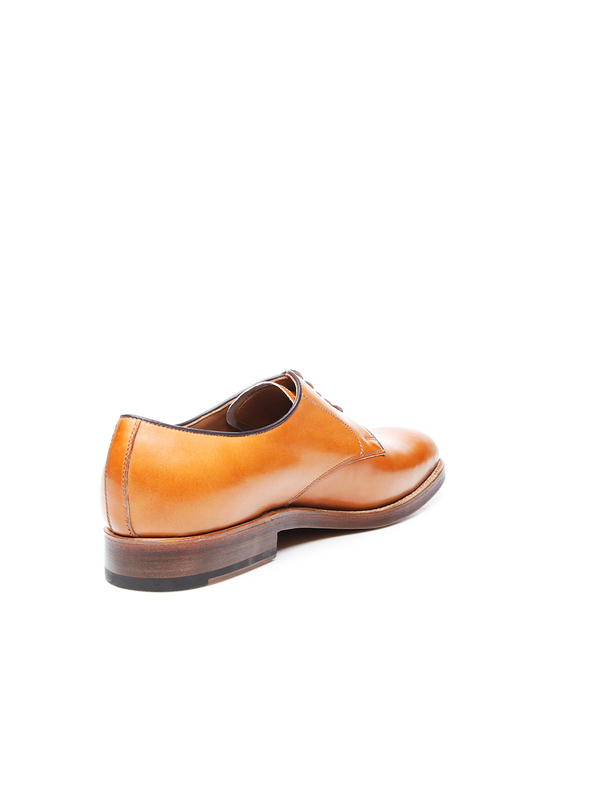 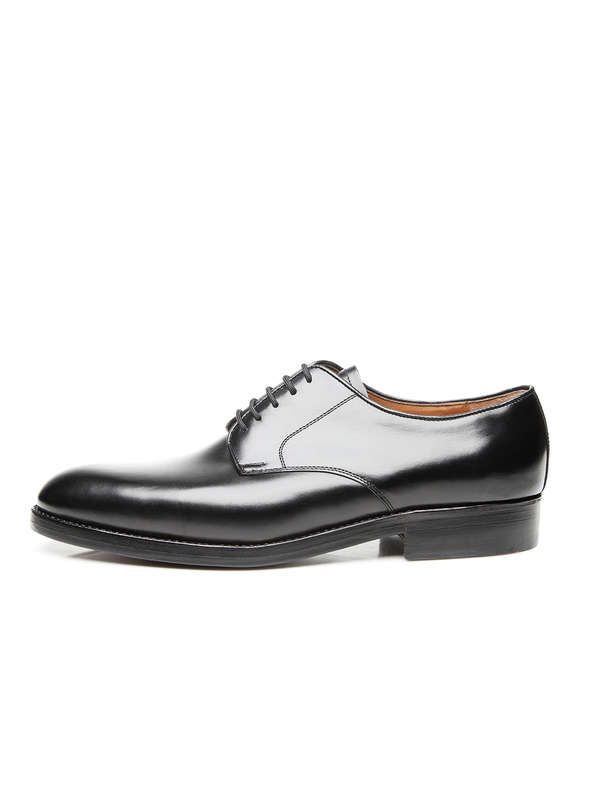 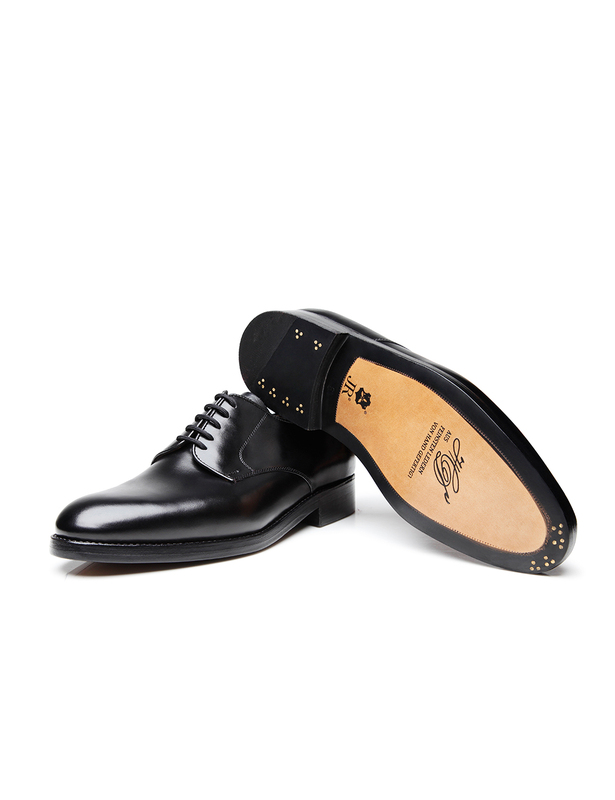 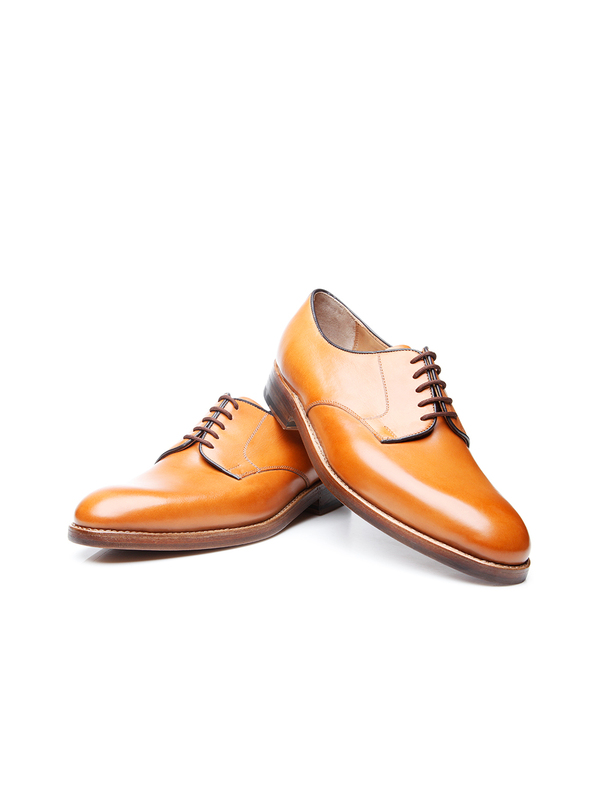 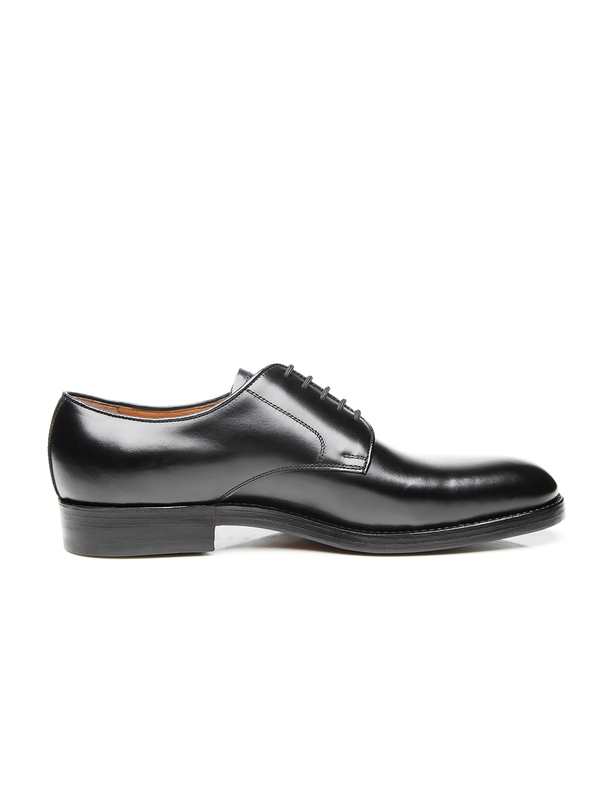 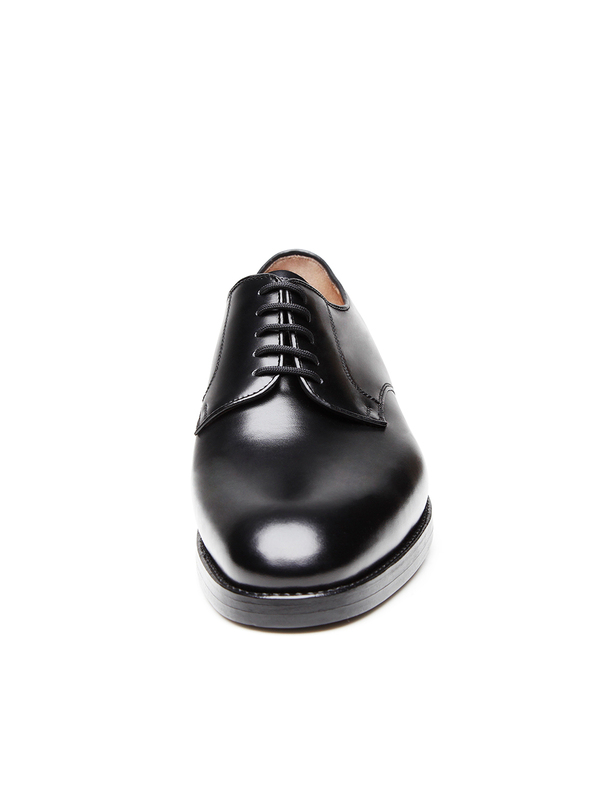 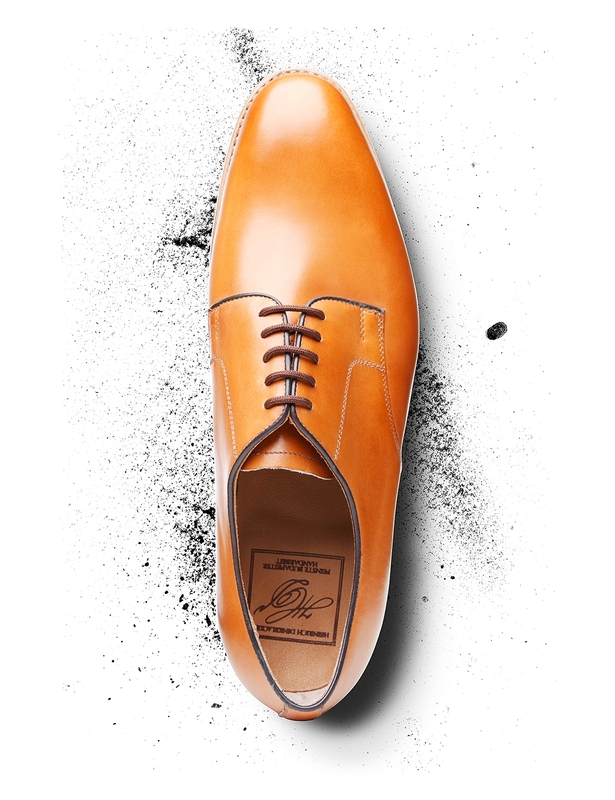 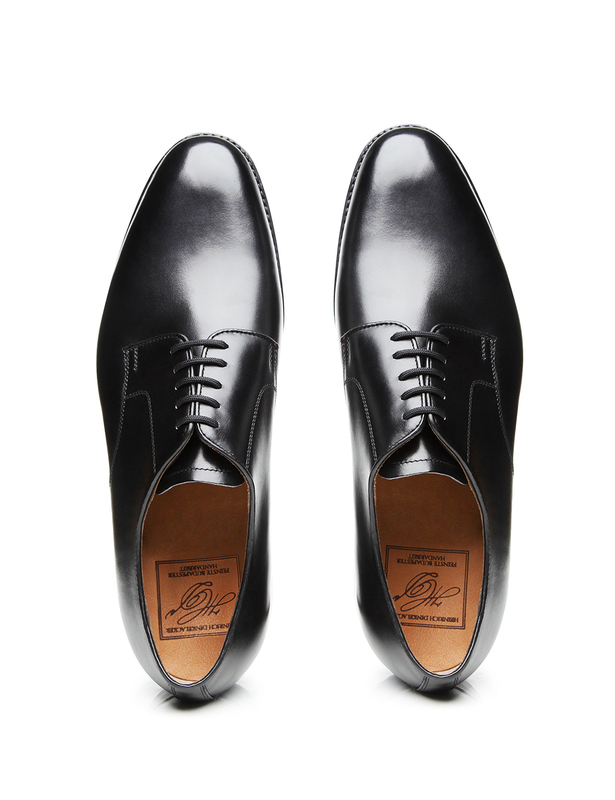 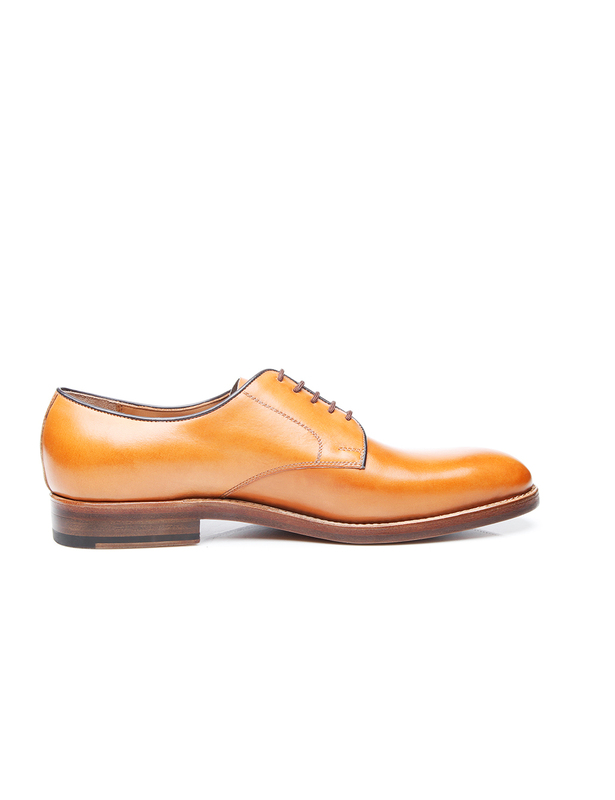 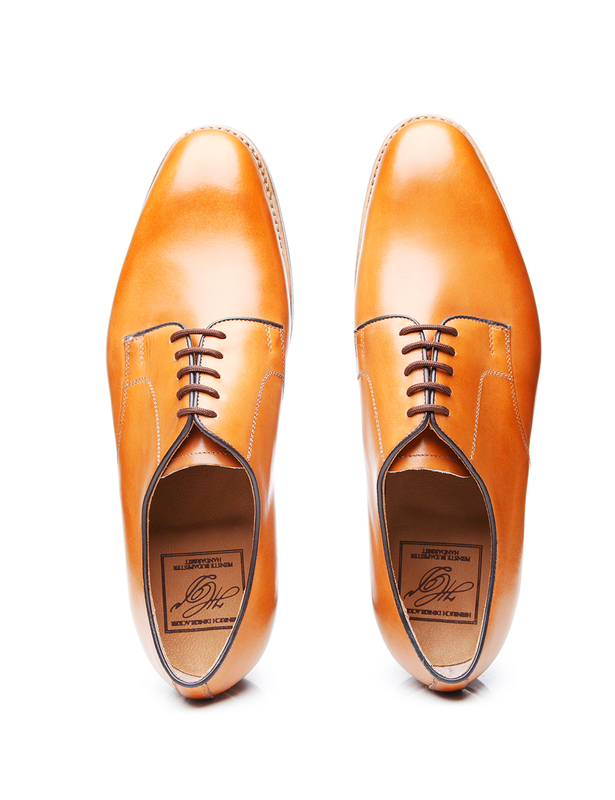 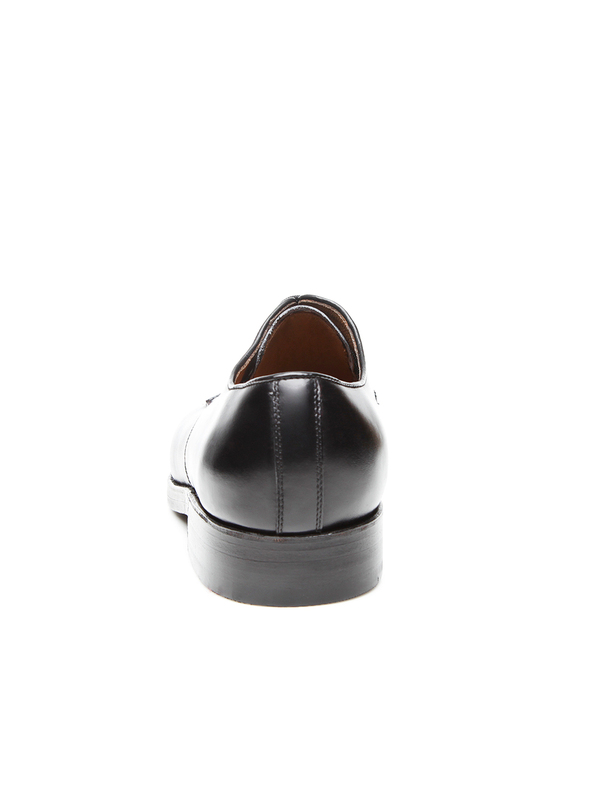 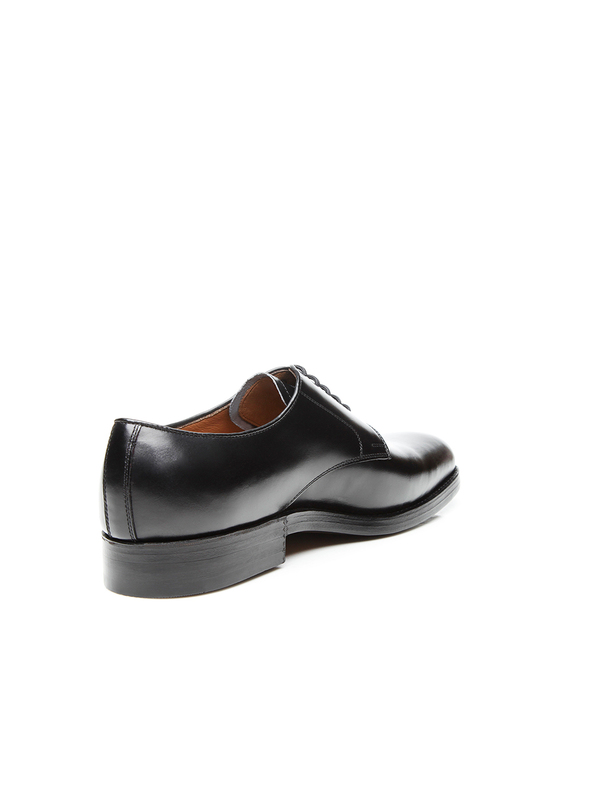 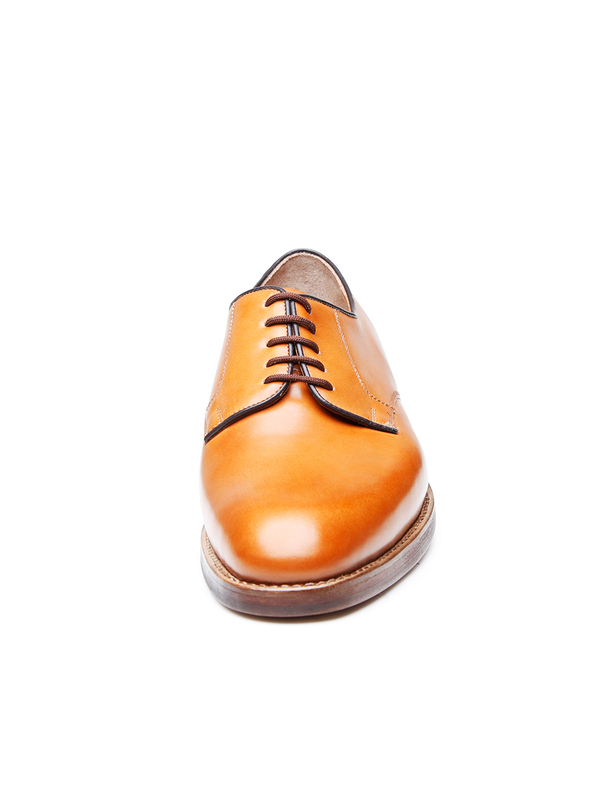 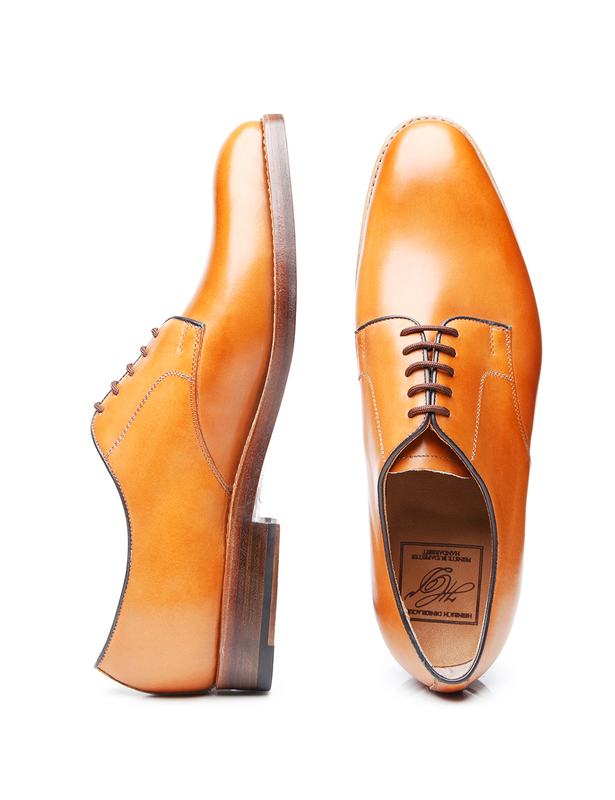 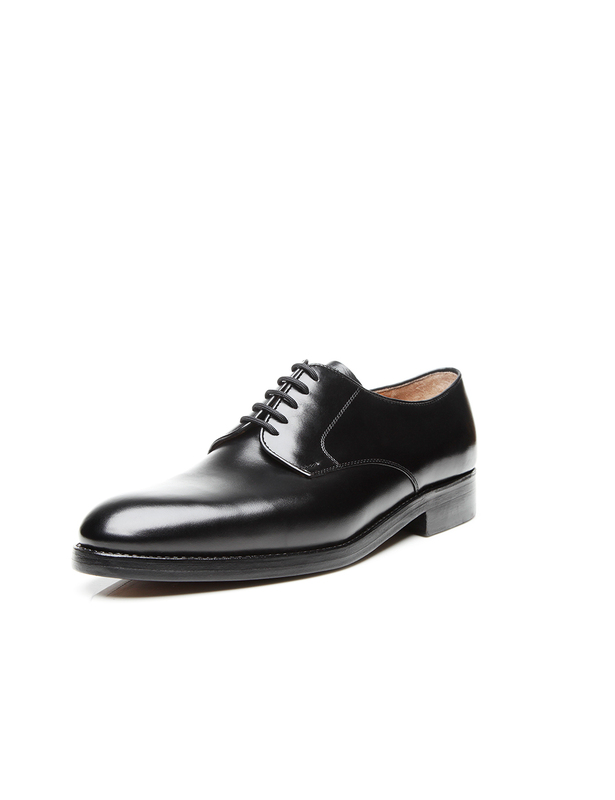 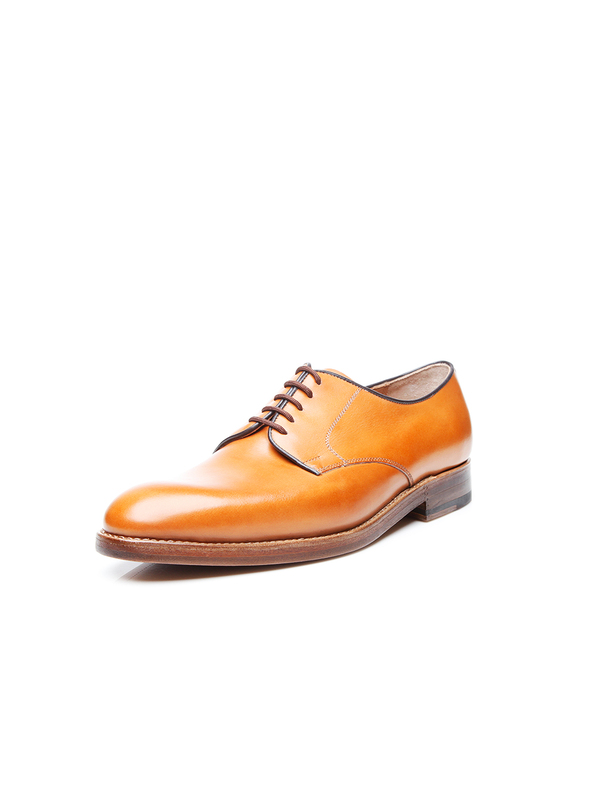 All around the world, the plain Derby is one of the most popular types of classic men’s shoes. 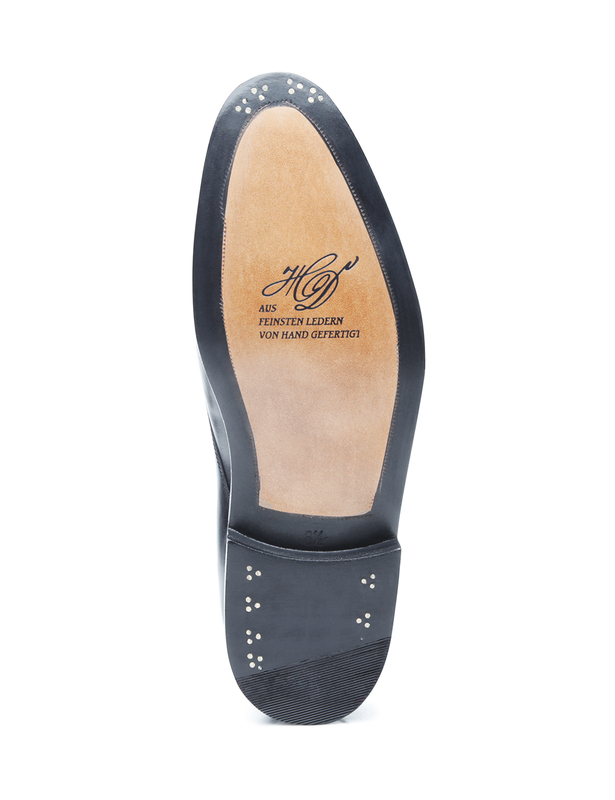 In keeping with tradition, the unadorned calfskin on this model features open five-eyelet lacing that loosens up the design, as well as curved quarters on the vamp that are reinforced with piping. 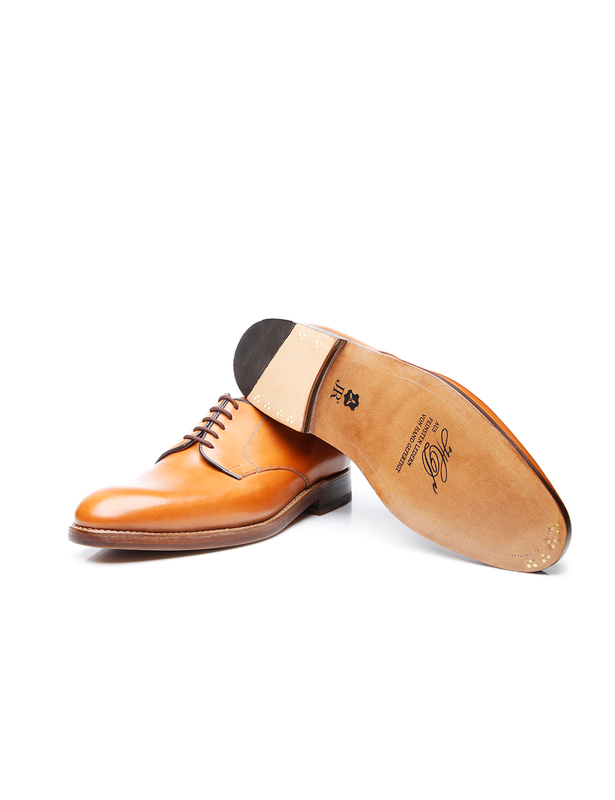 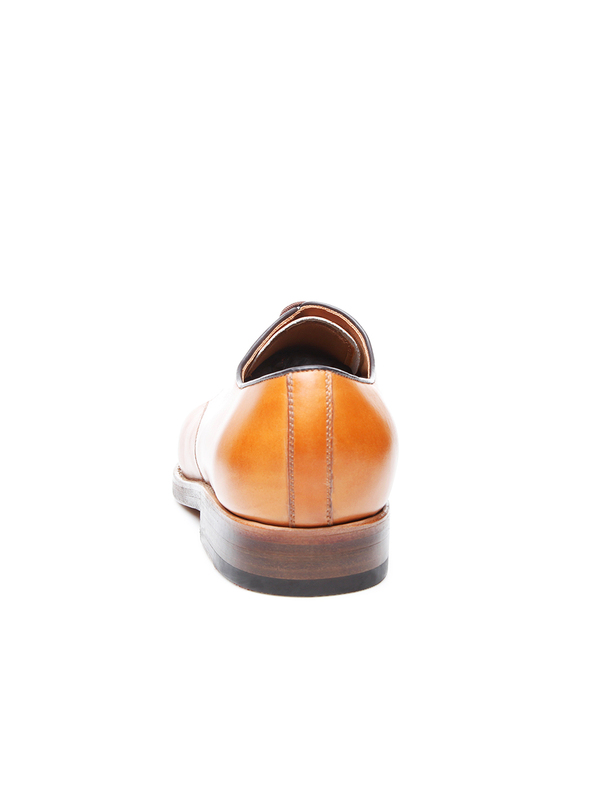 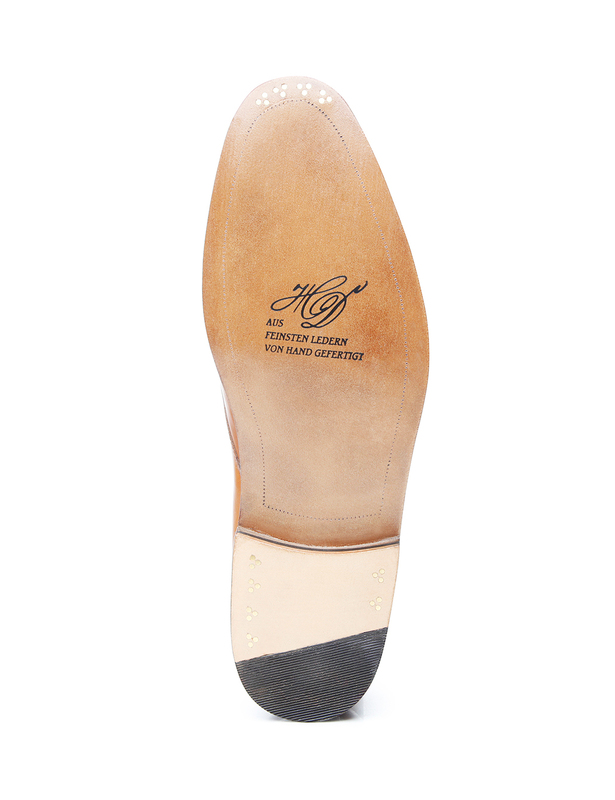 A sturdy double sole made of leather and a last that gently tapers at the front of the foot top off this classic, sewn-welted and handcrafted shoe. 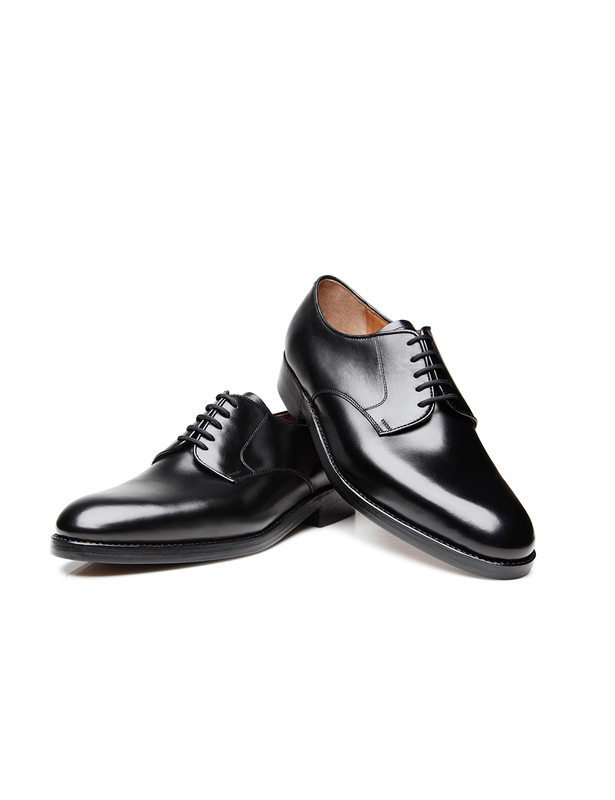 This model’s minimalist design makes for a stylish appearances at formal and informal occasions alike. 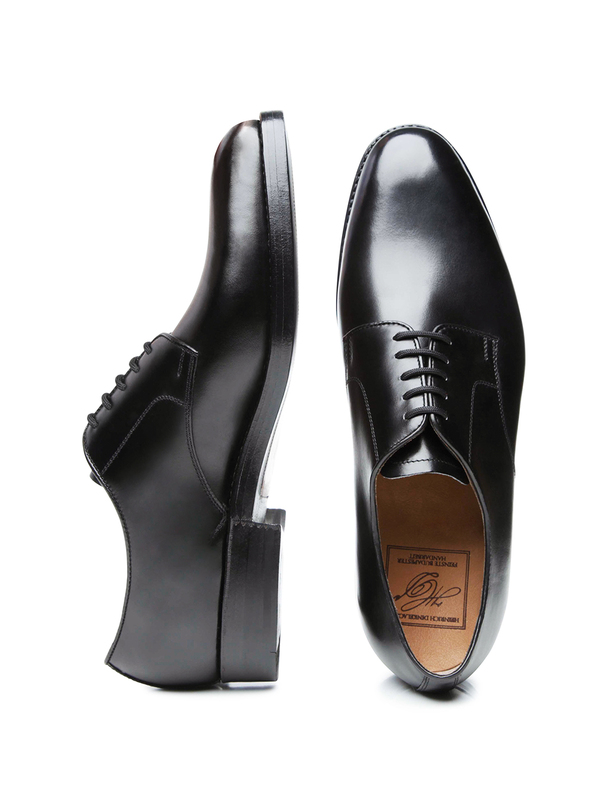 The plain Derby is available in ‘Nut’ and black.